Binaural beats meditation takes your brain almost instantly to a meditative state which would otherwise take years of practice to reach. It’s as simple as putting on your headphones, pressing play on your MP3 player and letting the binaural beats work their magic. On their own, binaural beats are not pleasant to listen to – a tone is played into one ear and a slightly different tone into the other. A bit like listening a a keyboard being constantly clicked. This means that almost all binaural beats meditation programs disguise the tones with either music or natural sounds (often rainfall). Because the process is so powerful, most binaural beats meditation programs have a number of tracks that take you into a progressively deeper meditative state. You play each track for a set number of days before moving on to the next, deeper, level. Below, I have listed the top 5 binaural beats meditation programs that are currently available. The Meditation Club provides lots of different solutions – not simply purely meditations but also specific tracks for stress relief, fatigue and lots of other experiences. It also sells specific meditations to take your brain directly to your chosen meditative state. If you’ve not experienced binaural beats meditation before, it can be a good place to start but it can also be confusing deciding which track to begin with (I’d personally suggest the deep meditation track). So long as you don’t turn into a kid in a candy store mode, it’s a good place to start. 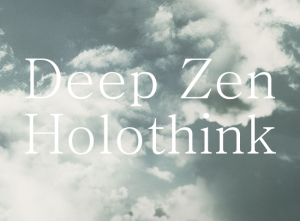 Holothink is inspired by Centerpointe’s Holosync binaural beats meditation but a fraction of the price and a much shorter time (Holosync takes years – almost as long as learning to become a Zen monk). This program takes you through 3 progressively deeper levels so that your mind has time to get adjusted to the power of reaching a deep meditative state almost instantly. There is a full support program and you have the option of instantly downloading the binaural beats meditation tracks or getting them delivered to you on audio CDs. Like the other meditation programs reviewed here, there are no ongoing fees or extra downloads. This is a complete package. You can check out the quality of this program with their free Holosync demo track. 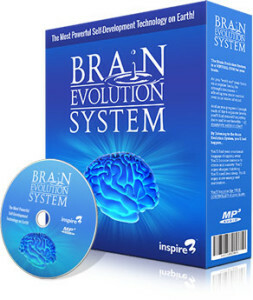 The Brain Evolution System is the Rolls Royce of binaural beats meditation systems. If price is no object, it should be your number one choice. There are 6 levels of binaural beats meditations in total, each one getting progressively deeper. Each Brain Evolution System track lasts 30 minutes and there’s the option of a demo track if you want to listen to a sample before purchase. The system comes with a 7 month money back guarantee and there is also a payment plan that spreads the cost over 5 months so it’s as close as you’re likely to get to a pay as you go meditation system. I’ve listened to the tracks but personally didn’t get on with the rainfall backing track that disguises the binaural beats but that’s very much personal preference and a lot of other people I know find the rainfall enjoyable to listen to. Click this link to get more information and access to the demo track and payment plan. The Meditation Program is actually the program I listen to almost every evening before I go to sleep. I find that the new age music that plays behind the binaural beats relaxes me and lets me have a good, restful, sleep each night. There are 8 levels in this program, each deeper than the previous one. Each track plays for an hour and if you have the time available it’s well worth it. Like all the other meditation programs reviewed on this page there are no hidden extras – you get immediate access to all 8 levels – and you can get the system in MP3 format or delivered on CD. Because of the nature of binaural beats, the download file sizes are big. So if you’re on a slow internet connection I’d suggest leaving the first track downloading overnight (it’s almost 60Mb) and getting the rest delivered on CD. I’ve found the Meditation Program to be really useful and I’ve been using it on an almost daily basis since I first bought it in 2007. The only reason it’s not the number one choice on this list is because each track lasts an hour – something a lot of people find difficult to fit into a regular routine. Zen 12 is created by the same company as the Brain Evolution System but is designed to cater for people who don’t have much spare time. Each track in the system lasts just 12 minutes, hence the name. Additionally, each track is available in 4 different formats: relaxation music, guided meditation, sounds of nature and white noise. None of the other binaural beats meditation systems I’ve found offer this degree of flexibility and because you get access to all the different options, you can mix and match which one you listen to according to your mood. The Zen 12 system is fully supported and you get access to a pre-recorded one hour training call, a quick start guide and a complete user manual. Zen 12 is without doubt the best binaural beats meditation system I’ve encountered. It provides all the benefits of binaural beats without the time investment that the other programs need. It condenses what other systems would take between 30 and 60 minutes to do into just 12 minutes. Almost every daily schedule can fit in the 12 minutes needed to get all the benefits of meditation. There’s also a free demonstration track and you can also get access to the quick start guide, user manual and training call. Zen 12 is highly recommended and is far and away the best binaural beats meditation system I’ve found. This entry was posted in Uncategorized on August 23, 2014 by .